‘SC celebrity Bokyung Byun was described by her colleagues as a guitarist who “performs with fleet-fingered, delicate precision, and expressiveness”. 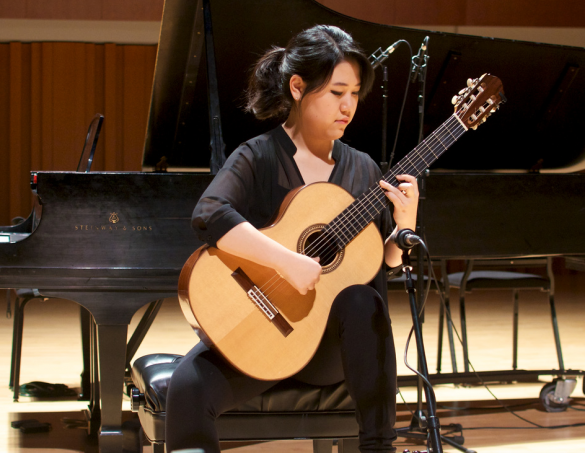 As of this academic year, Bokyung is attending USC Thornton’s doctoral program in Guitar Performance through the prestigious International Artist Fellowship Program. As an International Artist Fellow, Bokyung has been identified as one of the most outstanding young artists from the Pacific Ring, South Asia, and Latin America. Absolutely more than enough reason for OIS to meet with her for coffee and an interview. 1. How did you first get started playing the guitar? I am actually the first musician in my family. When I started playing guitar, we hardly knew the difference between an acoustic and electric guitar! It was my teacher who got me into classical guitar. The good thing about that is that I was never put under exceptional pressure by anyone to perform. Everyone saw it as a fun activity until I personally decided to become serious. 2. Before coming to USC, you attended Julliard, where you were a teaching fellow for The Juilliard School’s prestigious Music Advancement Program and Morse Teaching Artist Fellowships for four consecutive years. What brought you to Thornton School of Music? USC is the school for classical guitar (it is consistently ranked a top-5 school in classical guitar program rankings, ed.). I fell in love with New York and didn’t really want to leave, but I was attracted to Thornton by both the program and the novelty of living in Los Angeles. By coming to Thornton, I really got the best of both worlds when I needed them. Julliard has a more classical and regimented curriculum, while Thornton places more emphasis on freedom and individual learning. 3. 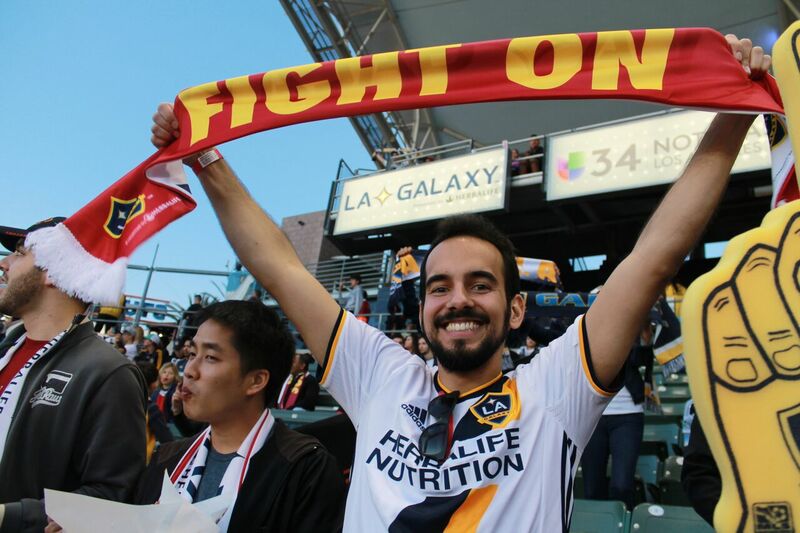 Did the prospect of living in Los Angeles have anything to do with your decision? I have already answered this in part. I have to say though, that being in LA truly is a much more laid back feel than being in New York. The campus feel at USC is amazing: there are so many people just walking around in t-shirts and flipflops! 4. Aside from playing guitar, what activities do you pursue in your free time? I like to eat. Korean food is definitely my comfort food, but I love all different cuisines. I actually like to eat out a lot. It’s been harder here than in New York, since you have to drive everywhere and I’m still working on my driver’s license. Fortunately, I have plenty of driving friends with a mutual interest in all things culinary! 5. Name one person in your life who inspired you to be a great guitarist as well as a great human being. How does this person inspire you? I am going to have to go with my mother. She worked so hard as a pharmacist making sure that I had everything I needed, and was always very invested in my artistic pursuits. Oftentimes you learn more from the people closest to you than from the artists you idolize. 6. Becoming a world-renowned guitarist takes huge amounts of dedication and practice. Do you have any tips for out student body as to how to channel such motivation in their own lives? I try to think big. I don’t like to look at what’s happening at the moment or dwell on little disappointments along the way. I would go to competitions, and when I didn’t come in first place, I would feel utterly discouraged. At some point along the way, I just decided that I wasn’t going to let these things drag me down any longer. This has made me all the more successful in the long run. 7. Now as one international student to another: how do you plan to get the most out of your studies here in the U.S.? When it comes to music, this school has it all. From KUSC to on-campus recitals, USC is extremely involved throughout the music world. Walking through the Thornton building you hear little snippets of all different kinds of music; from opera to jazz, Ravel to The Rolling Stones. You would not hear that so easily at other schools that I have visited/attended. All I want is to just soak it all in and make use of the free spirited West Coast mentality to bolster my artistic development! Can I just not choose please? Well, if I had to choose, I would go for something simple but relaxing. I would choose Brahms’ Lullaby. Bokyung Byun will be holding a recital at the United University Church on University Park Campus on April 27, 2017 at 7:30 PM. Attendance is open to all. This entry was posted in News and Updates and tagged fellowship, guitar, inspiration, interview, music. Bookmark the permalink.